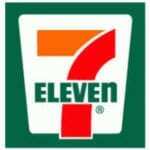 7 Eleven is the world's largest convenience with over 10,000 stores in the USA. We are open 24/7 and offer groceries, non foods, fresh foods and our famous coffee and slurpees. Business Name: Allstate Insurance – Reimels & Associates, Inc.
Business Address: 49 Indian Head Rd. Nationally acclaimed full service remodeler serving NY & NJ since 1946. We are fully licensed and insured with a stellar record with both the Better Business Bureau and The Department of Consumer Affairs. We guarantee all of our work for a minimum of 5 years and honor and service all manufacturer warranties. Our exclusive advanced Design Imaging Technology shows you the vision before the work begins, avoiding any costly mistakes, whether it be an exterior or interior home improvement. We pride ourselves on exceeding customers’ expectations and creating raving fans. 8 time builder for Extreme Makeover: Home Edition. "We go to extremes to build your dreams!"